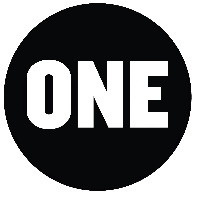 JOHANNESBURG — Following the African Union’s declaration on corruption from the 31st summit in Mauritania, the ONE Campaign issued the below statement, applauding the continental body while urging African leaders to take concrete steps to implement the key reforms highlighted in the declaration that can advance the fight against corruption on the continent. “ The African Union’s (AU) declaration on corruption is very timely and necessary to deal with corruption on the continent. The AU’s focus on combating corruption comes at a critical juncture, as African citizens consistently place corruption among their top concerns. Corruption among government officials and bureaucracies has increased over the last decade according to the Mo Ibrahim Index of African Governance. “Leaders must now commit to the declaration at the national level by taking meaningful action to translate the key statements of openness in the budget, tax transparency, and citizens participation in governance to meaningful policy reforms.